Ron Gross of William Floyd Union Free Schools was re-elected to the Board. His new three-year term begins in January. A variety of seminars were offered, with topics ranging from the various services NYSTRS offers to the rules for working in retirement. Your 2018 Benefit Profile will be available soon and you’ll notice some big changes that result in a much smaller document. A summary of contributions and loan information (if applicable). ​Previously 12 or more pages in length, the Profile has been condensed so only the figures and descriptions members have indicated are the most critical are displayed. The new version of this document will be only four pages. an electronic version only, you will be able to access your Profile online in early November. The Employer Contribution Rate (ECR) is the percentage of member payroll employers contribute to NYSTRS. This rate is determined annually through an actuarial valuation of NYSTRS' assets and liabilities. These contributions have been collected without fail throughout the System's history, keeping NYSTRS among the most secure plans in the country. The 2017-2018 rate charged to districts is 9.8 percent of school year salaries; the ESTIMATED 2018-19 rate will fall between 10.5 and 11 percent. An Administrative Bulletin will be provided in February 2018 with a more precise estimate of this ECR. Download and print NYSTRS forms. Call our Hotline at (800) 782-0289 to request forms be mailed to you. You can file a service retirement application up until your effective date of retirement, but no sooner than 90 days before your retirement date. If filed, must submit with Distribution Election for ASF (REF-30). 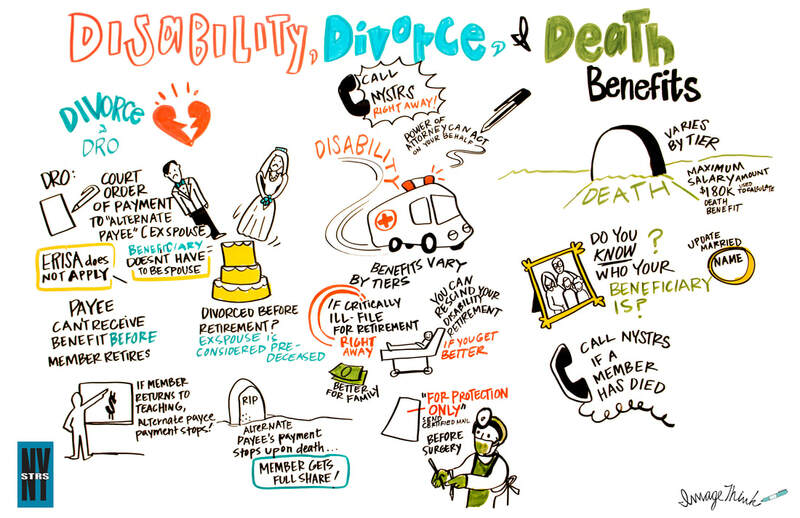 Disability Retirement Application Package (RET-54.1; RET-54.3A; RET-54.5; RET-54.1B; RET-54.3). Please refer to NYSTRS' pamphlet If You Are No Longer Able to Work, which offers guidelines for making disability retirement decisions. 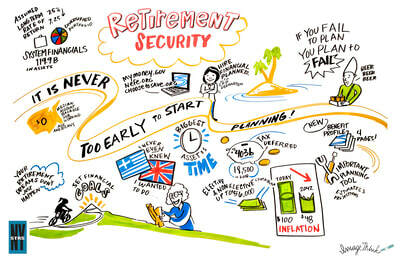 Election of Retirement Benefit (RET-54.6). To change the benefit payment choice you made on your retirement application, you may file this form within 30 days of your retirement date. 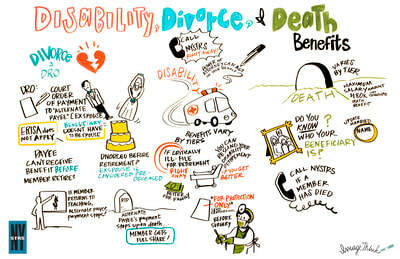 You will be covered by an in-service death benefit. If you are a Tier 3-6 member who dies as the result of an accident sustained while teaching, an accidental death benefit may be payable to your beneficiary instead of the in-service death benefit. If you are a Tier 3-6 member and the balance of your member contributions and interest is at least $1,334, you can take a loan from your funds. If you are a Tier 1 or 2 member, you must have a minimum of $400 in your Annuity Savings Fund to be eligible for a loan. For more information about loans, see our publication Borrowing From Your NYSTRS Contributions. ​You will be eligible to purchase credit for prior service. For more information, see our publication You Deserve the Credit. If you are a Tier 3 or 4 member, your pension will be vested, and you will be eligible for a NYSTRS service retirement benefit at age 55. If you are a Tier 4 member, you will stop making 3% required contributions when you attain 10 years of credit or membership, whichever occurs first. You may be eligible for a disability retirement benefit if you cannot continue to work because of an illness or injury. If you leave teaching with at least 10 years of service credit and die before retirement, you will be covered by a vested death benefit of half the in-service death benefit that would have been paid on the last day of working. If you are a Tier 1 or 2 member, the pension factor used in your benefit calculation will no longer include a service-related reduction. If you are a Tier 3 or 4 member, the pension factor used in your benefit calculation will increase from 1.67% per year to 2% per year. If you are a Tier 6 member, the pension factor used in your benefit calculation will increase from 1.67% per year to 1.75% per year (i.e., 35% for your first 20 years) plus 2% for each year beyond 20. If you are a Tier 5 member, the pension factor used in your benefit calculation will increase from 1.67% per year to 2% per year. If you are a Tier 2, 3 or 4 member, you can retire without an age-related reduction to your pension factor when you attain 30 years of credit or reach age 62. If you retire under Tier 4, you will receive an additional 1.5% per year toward your pension factor for each year of credit beyond 30 years. If you are a Tier 5 member, you can retire without an age-related reduction to your pension factor when you retire either at: age 62 or later; or, at age 57 or later with at least 30 years of service credit. If you are a Tier 1 member, you can retire at any age. This information is meant to serve as a guideline. 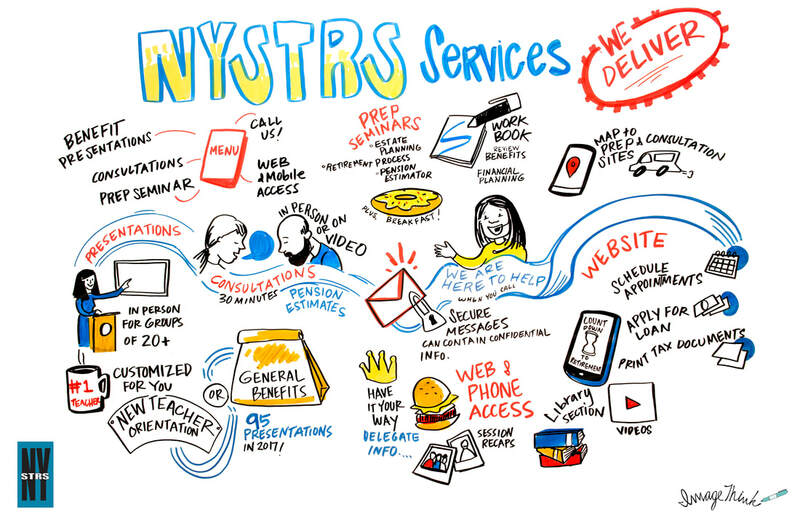 As always, go to NYSTRS.org for the most current information.